Photo by Grayce Whiting and Grayce Whiting | The State Press Sandra Ramos' 2015 work, "Searching Ithaca", is pictured at the ASU Art Museum on Friday, Jan. 22, 2016. The artwork is part of Ramos' exhibition "Watertight" which is currently showing at the museum. With a mix of the whimsical and the political, Cuban artist Sandra Ramos brings the unique fantasy-nature of her work to the ASU Art Museum with the exhibit "Watertight: Sandra Ramos," that opened on Jan. 16. The exhibit follows Ramos' work with video animations spanning from 2008 to 2013 and includes a few book-like sculptures of mirrors and images from 2014. The animations center around a recurring cast of characters. While the rest of the animations are three-dimensional, Ramos chose to leave these figures two-dimensional as she also regularly includes them in her drawings. The protagonist of her work, La Pionerita, is an Alice in Wonderland-like character who leads the viewer into the world of Ramos' animations. She describes the character as an alter ego of sorts for herself and the entire generation that grew up after the Cuban revolution. "I have always been very drawn to Alice and the idea of a girl as a storyteller," Ramos said. One of the primary themes of the exhibit is Ramos' split homes of Havana and Miami. Her book-sculpture, "Searching Ithaca," refers to Greek mythology and Odysseus' relationship to his home. It features a quote from C.P. Cavafy's poem "Ithaka," that reads, "Ithaka gave you the marvelous journey. Without her you would not have set out." The piece refers to Ramos' complicated history with her home in Havana, as well as her affection for it. "There's a nostalgia for home, but you have to live the life of the trip," Ramos said. "Movement is a part of contemporary life." The exhibit is structured like a labyrinth, guiding the visitor to its focal point: "Aquarium." The four-minute short is projected on the back wall of the room and stars La Pionerita. It is a statement on the power of collective revolt and the consequences of a generation that grew up in the wake of a revolution. As a part of this generation, Ramos' work was able to make it to the U.S. with her art, a feat that ASU Art Museum director Gordon Knox described as extremely significant. "She is hugely influential," Knox said. "She is part of the beginning of contemporary Cuban artists being able to get out into the world." Curator of "Watertight: Sandra Ramos," Heather Lineberry, said Ramos' work is special because it can draw in a diverse group of people with its mystical imagery. "There are so many entry points (to Ramos' work)," Lineberry said. "We had a group of first-graders in, and they didn't understand the historical or cultural references but they were really intrigued by the magical narrative of the pieces. That's the power of the work." Ramos' work was first exhibited in the U.S. at the ASU Art Museum in 1998 in an exhibit titled "Contemporary Art from Cuba: Irony and Survival on the Utopian Island" along with work from 10 other Cuban artists. "That was one of the best shows of Cuban art, I think," she said. "After that was when I first started to be known here. I always want to come back (to ASU)." "Watertight: Sandra Ramos" will be on display until May 28. The artist will be speaking on Jan. 26 at 5:30 p.m. at the ASU Art Museum about her technique, inspiration and subjects. The event is free of charge. "All my work tells different stories related to Cuba," Ramos said. "But anyone can connect. At the end, it's about a human concern." Reach the reporter at ezentner@asu.edu or follow @emilymzentner on Twitter. 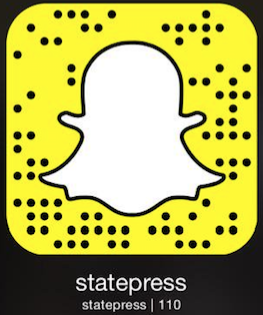 Like The State Press on Facebook and follow @statepresson Twitter.